Studio at the Devon was a fine art gallery for a short time during the renovation of the old Devon Theater on Frankford Ave Philadelphia. The Devon Theater was in the process of being renovated for use as a performing arts center. The Devon Theater for the Performing Arts opened for a short time in 2009 till funding cuts in a bad economy put the halt on the project. 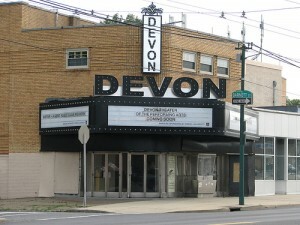 The Devon Theater Studio which was to be part of the renovation project was to be both a sound and practice studio for musicians and performers. This Site now the DevonTheaterStudio.com is now dedicated to Art Music and the Performing Arts helping those inspiring to express there talent find the resources they need. Fine Art modern art contemporary art of all types. something that will bring enjoyment to all generations of art lovers. Find it here. Music Instruments lessons gigs bands and local talent will find the connections materials and inspiration they need to do what they do best.